I have a compulsion about not wasting food ever, especially if it can be avoided (which I’ve found it usually can). This manifests itself in extremely strategic meal planning: both planning exactly how much to buy so that I don’t have too much and then also being diligent about not forgetting how much food is chilling in the freezer. Obviously this is easier since I live alone and don’t have to control the potential fluctuating appetites of someone else. But, there’s still something to be said about trying to minimize food waste, especially since in the United States we throw away 96 billion pounds of the food we spend our time cooking. That’s pretty scary to me. 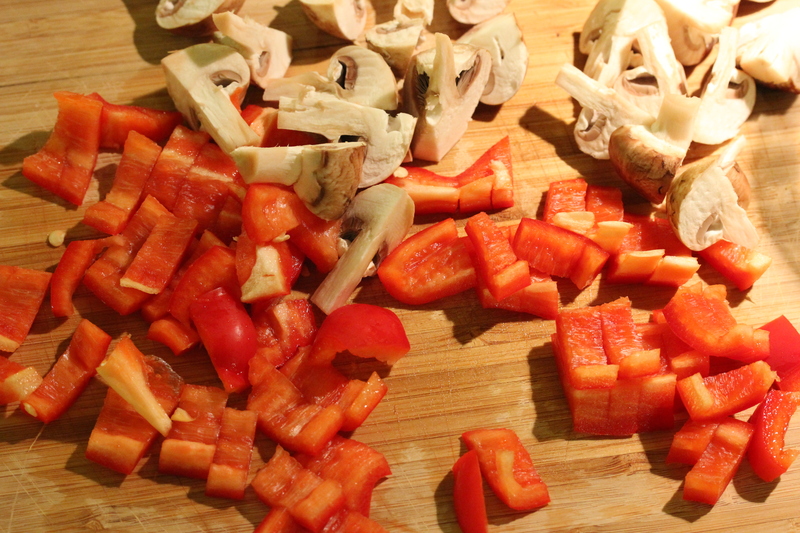 The key to stir fry is flexibility, so use whatever you have around that you like and need to use up. Cook the harder vegetables first, as they will take longer to cook. 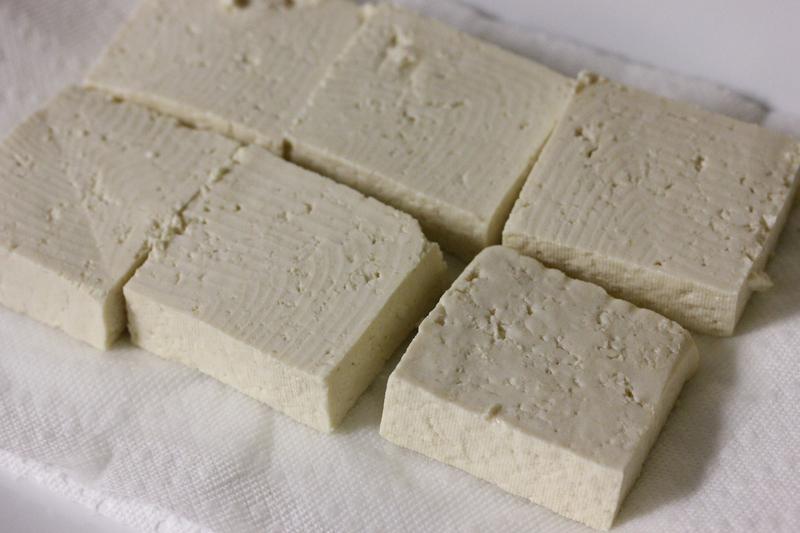 Take your tofu and cut the block so that you have large rectangles. 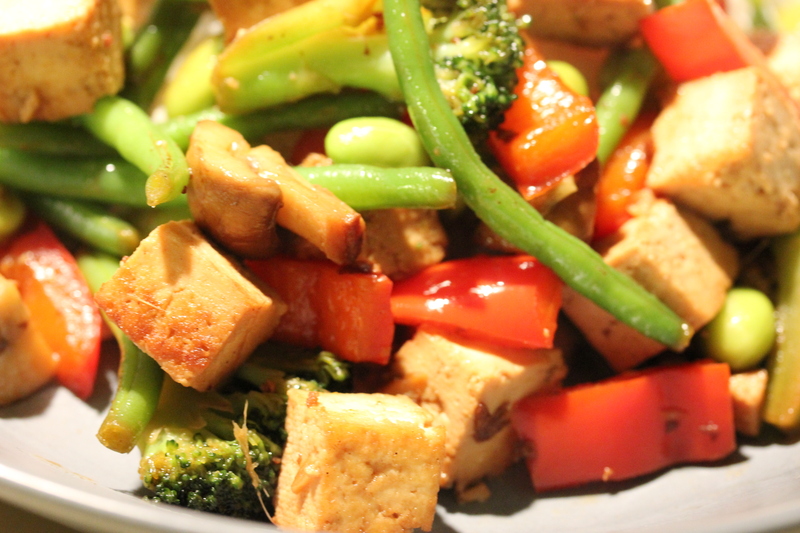 Place a paper towel on a plate and put tofu on top, then cover the tofu with another paper towel. Put something heavy on top of this, I usually use a pot filled with water. Let sit for at least 30 minutes. 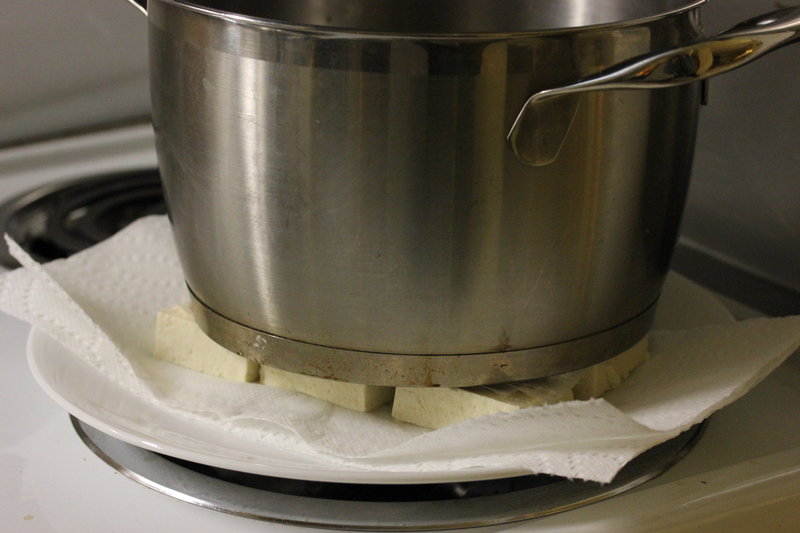 The goal is to press the tofu and get to release the liquid so that it can reabsorb the seasoning. 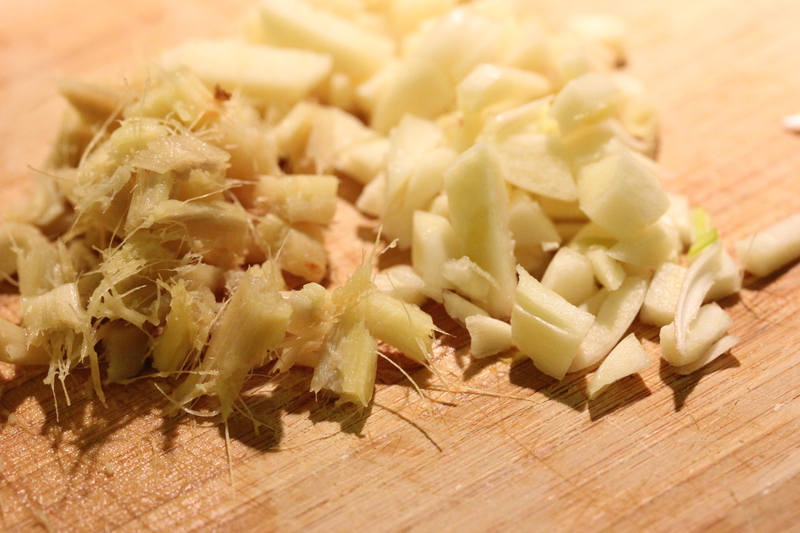 While the tofu is sitting, chop your garlic and ginger. I usually mince into small cubes. Then, prepare your vegetables. 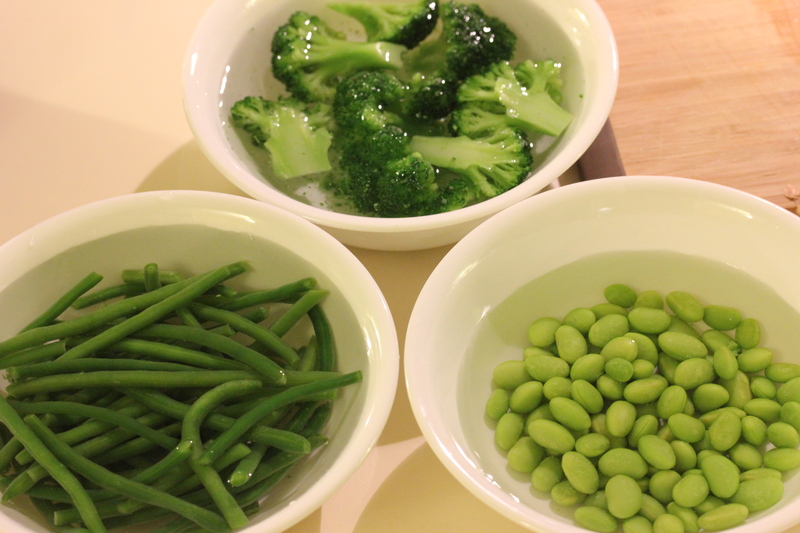 If you are using frozen vegetables, put them in some water to thaw. If you are using fresh vegetables, wash and chop them. I usually try to get them into a size that I can pick up with a chopstick (not too small) in one bite or less (not too big). 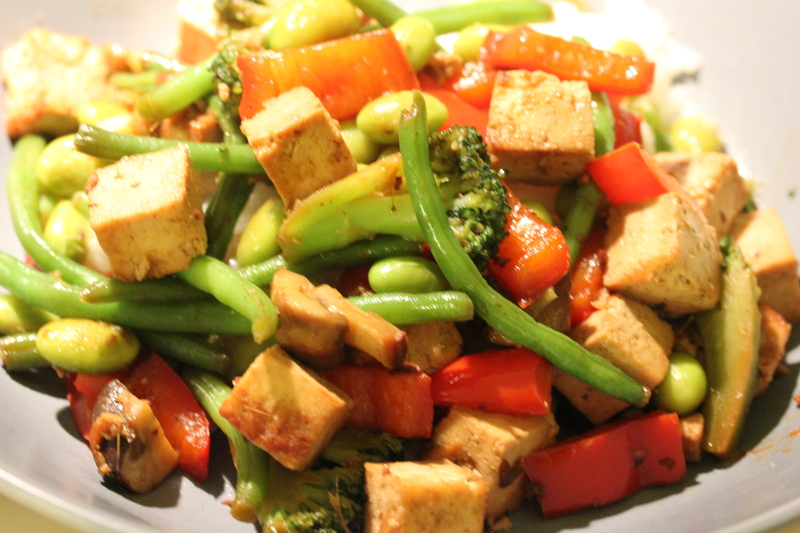 Toss the tofu and half the garlic and ginger into a pan on medium heat. Add about 1 tbsp olive oil. Sprinkle on some soy sauce. 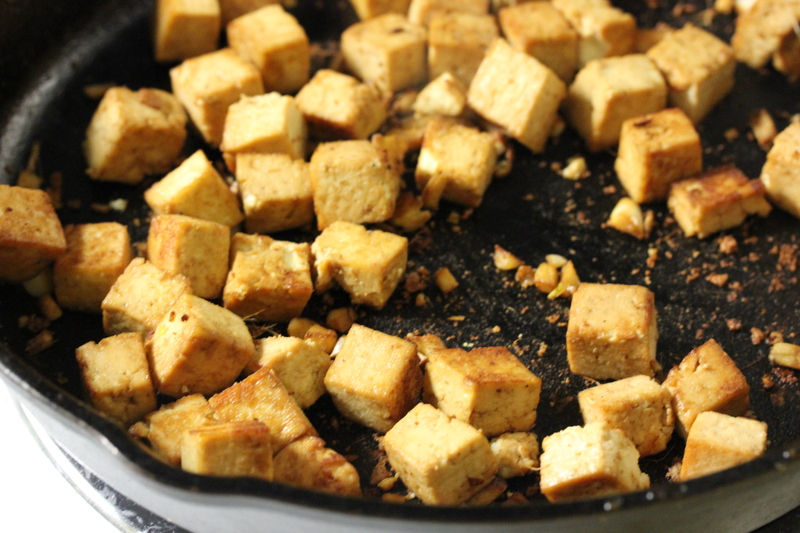 Let cook until the tofu chunks are well browned. 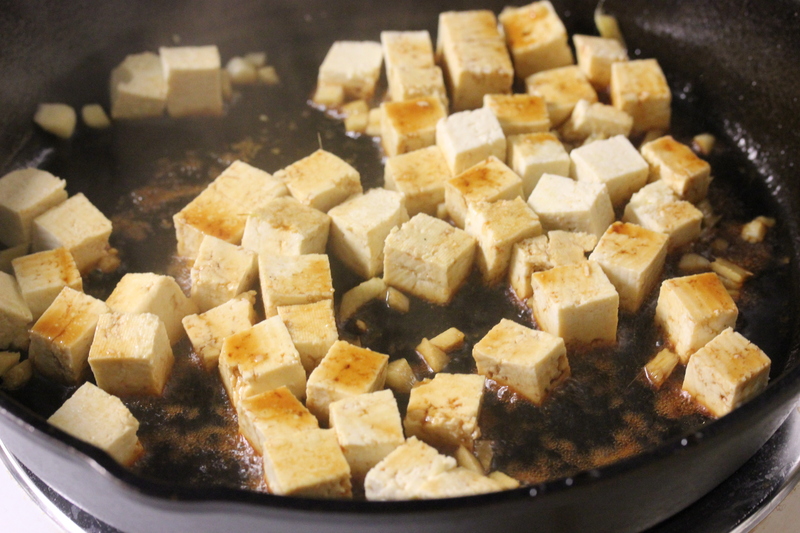 Remove tofu from pan and set aside. Add remaining garlic and ginger to the pan with another tbsp of olive oil. 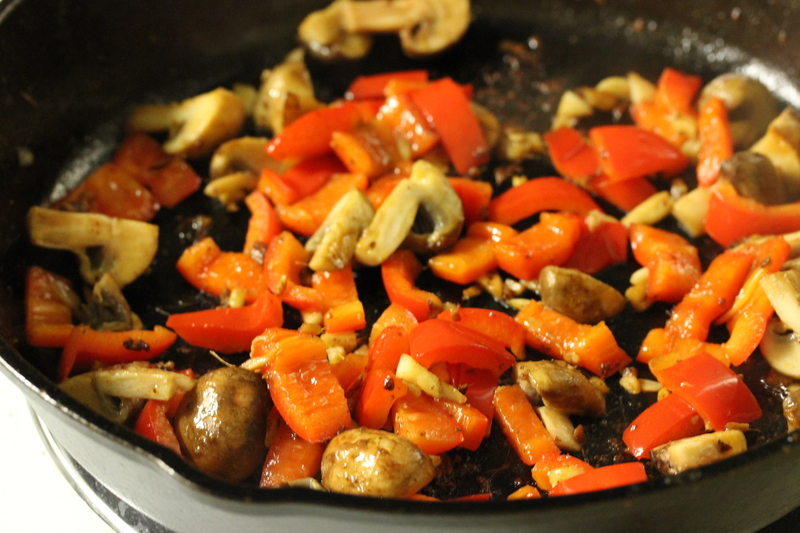 Add peppers and mushrooms (or any fresh vegetables). Cook until they start to get soft, 5-10 minutes. 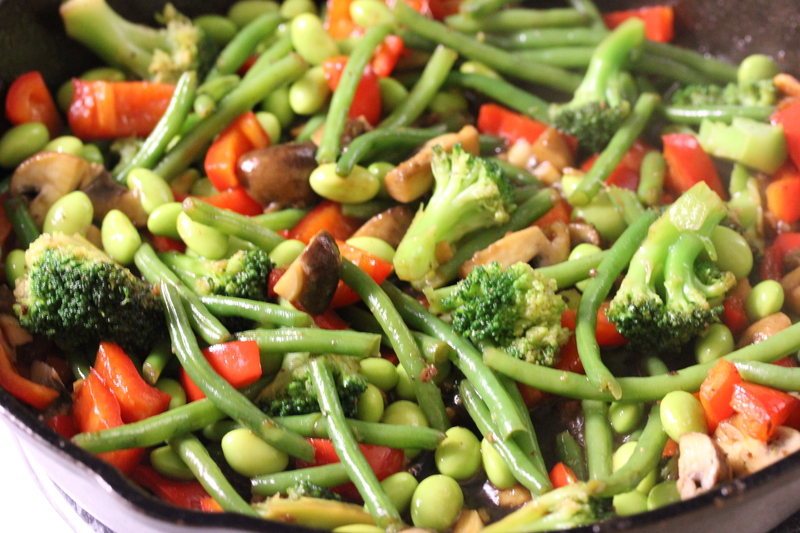 Drain water from the frozen vegetables and add them to the mix, stirring often. Once everything is heated through, add the tofu and mix. Let cook until everything is warm. Serve over rice. I made this today for dinner and it was amazing! Thank you for sharing the recipe. 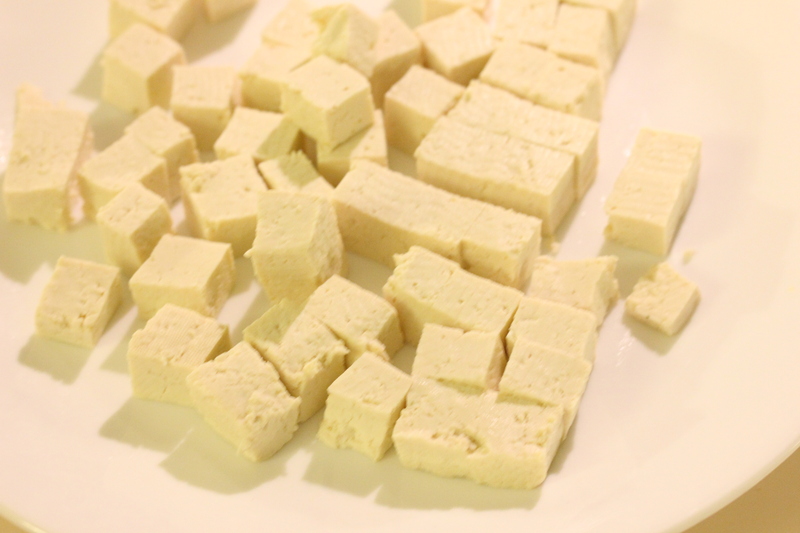 I wanted to cook tofu for so long but I never knew how to prepare it. I also mixed in some chicken and carrots, onion and zucchini and I left mushrooms out. From now on I’ll be making this more often. Great light dinner!